On the 1st June Saturday morning, almost 100 women gathered together for our WOW31 meeting held in Singapore. It was amazing to see women from all walks of life fellowshipping freely and worshipping God with such passion and enthusiasm. I want to thank all of you who came and especially those who helped out at the meeting. As announced, I am posting a simplified version of my sharing from a very remarkable story in the Bible. In the book of Joshua, we are introduced to one of the most thought-provoking and astonishing heroines of the Old Testament. Rahab, the prostitute of the Canaanite city of Jericho, who ultimately was made famous for her great faith and earned her place in the lineage of Jesus Christ. Examining her life will shed deeper light into God’s plan for His church and for all of us individually. Here in Joshua Chapter 2, we read about the story of Rahab. After helping the Israelite spies, she made an agreement with them. Now the men had said to her, “This oath you made us swear will not be binding on us unless, when we enter the land, you have tied this scarlet cord in the window through which you let us down, and unless you have brought your father and mother, your brothers and all your family into your house. Rahab, in that moment of danger, activated her faith and put it to work. In the end, not only did she save herself, she also brought those who were with her out of destruction into safety. Even though Rahab was a prostitute, she was clearly a perceptive and intelligent woman and she was also well informed. She not only hid the spies successfully, she was also able to devise a way of escape for them. Spiritually, Rahab was not an ideal candidate to come to faith in the one true God, the God of Israel. She was a citizen of a wicked city engaged in corrupt, depraved, pagan culture condemned by God. However, Rahab had one asset — she had the Fear of the God of Israel. She had heard from the many men she came into contact with that the God of the Israelites was to be feared. She heard the stories of how Jehovah helped His people escape from Egypt, cross the Red Sea and had victory over the Amorites. The Fear of the Lord came upon her and she had the following revelation: “For the Lord your God is God in heaven above and on the earth below” (Joshua 2:11). It is this change of heart, this faith—coupled with the actions prompted by faith—that saved her and her family. What about us? Do we fear God or do we fear men? Fear of God and fear of men cannot coexist for us to see the supernatural work of God in our lives. How many of you have family members that are yet to be saved? Being a nice Christian will not bring salvation but one who abandons her life to God will provide a way of escape for those in your household. Simply by your becoming a Christian will not be able to pull them from death to life. You see then that a man is justified by works, and not by faith only. Likewise, was not Rahab the harlot also justified by works when she received the messengers and sent them out another way? For as the body without the spirit is dead, so faith without works is dead also. Don’t be afraid to give yourself fully to the Lord so that He can be in a position to touch your household through your works of faith. The Bible did not further elaborate on what Rahab did or how she lived after the escape from Jericho city. The next time her name came up was in Matthew, which listed her as a wife to Salmon and mother to Boaz. Matthew 1:5-6 – Salmon begot Boaz by Rahab, Boaz begot Obed by Ruth, Obed begot Jesse, and Jesse begot David the king. 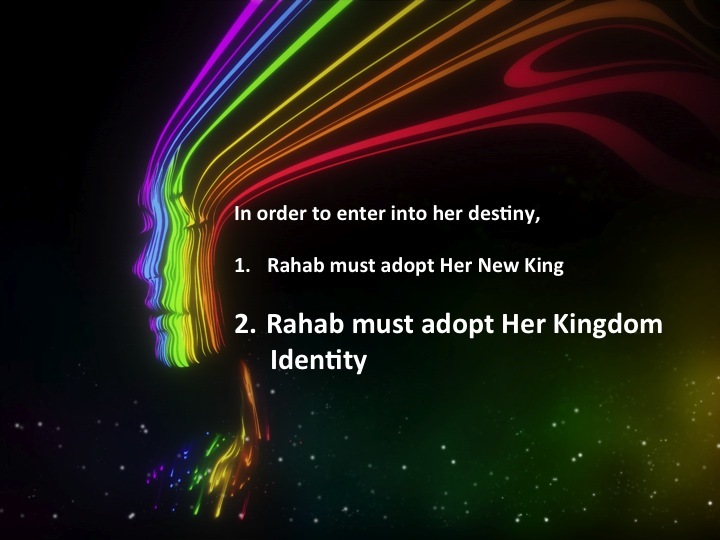 How did Rahab go from a being a harlot to being in the lineage of Jesus Christ? Her life, which was a picture of desolation and destruction, had radically turned into a picture of bliss and destiny. I believe that Rahab made some critical decisions during that time to open destiny’s door. 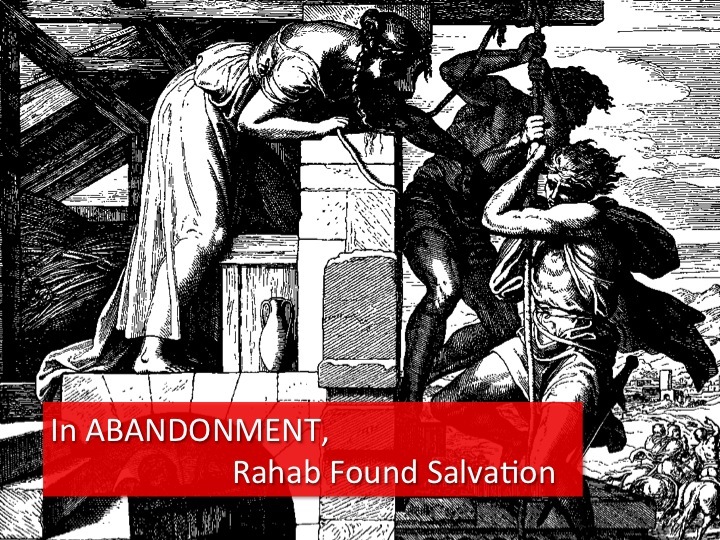 It is often said that Rahab, while being a true historical person, also served as a symbolic foreshadowing or “type” of the church and Gentile believers. She was, in fact, the first recorded Gentile convert. 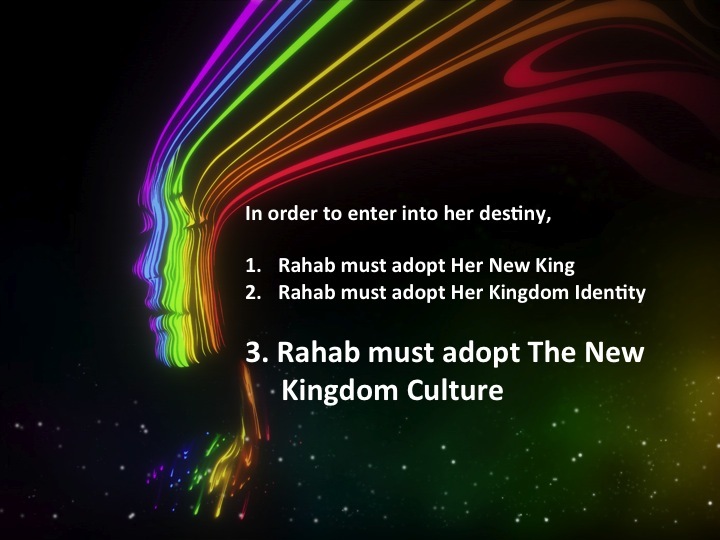 There are many ways in which Rahab depicts the church. B) Rahab was saved because of her faith in as written in Hebrews 11:31, “God in heaven above and on the earth below”. Likewise Christians are saved by grace through faith. See Ephesians 2:8. C) although Rahab and Christians are saved by an act of grace through faith, true faith is demonstrated by action (James 2). After salvation, every believer is expected to work out their faith and fulfill all righteousness. D) Rahab could only save her family provided she followed the directions given to her by the Israelite spies. (Reference: Acts 4:12). 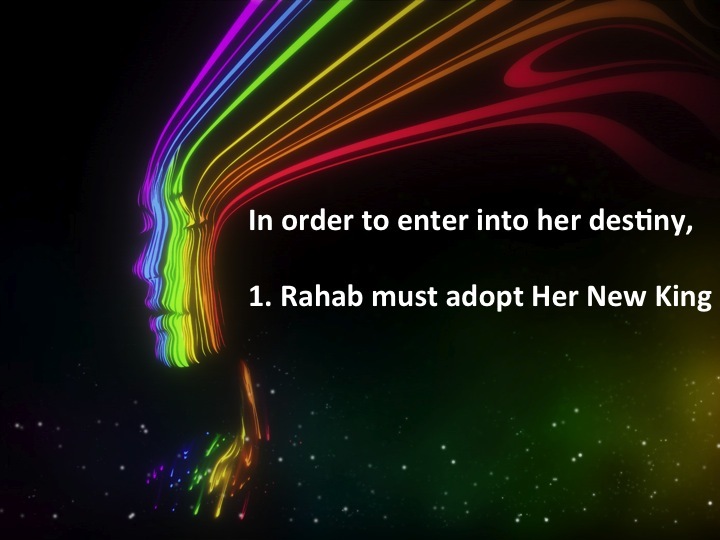 E) Rahab’s faith enabled her to turn away from the old to embrace the new. Christians need to embrace that they are now a new creation in Christ and to live a new and living way contrary to the ways of the world. The Bible says that God adopted us as his children. However, the adoption process is not complete if the child does not receive his adoption. Being adopted by God means that we are accepted into His family and this new identity brings a multitude of blessings and responsibilities. Being legally adopted by God means that we receive new rights. It is not enough to simply know about these rights but we must exercise our rights. Rahab was a Canaanite living amongst the Israelites but she became an Israelite by adopting Jehovah as her God. Without adopting God, we cannot understand our real identity. She was no longer Rahab the harlot but Rahab the daughter of the Most High. She was no longer a foreigner but she is now a part of God’s family. Knowing our identity is an important part of living the abundant life. Jesus’ major test in the wilderness was the test of His identity. Each time the devil says to Him ” If you are the Son of God… “. Jesus did not let the situation casts doubt on His status. Because Jesus was secured in His identity, He was able to face the incredible demands of His mission because He knew exactly what His identity is. He knew that He mattered to God, and that gave Him confidence to move purposefully in faith. 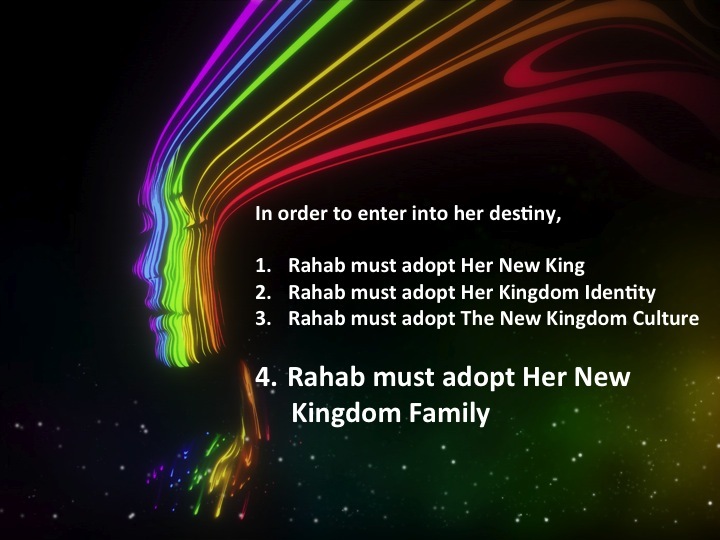 I believed Rahab could not have married any man in Israel if she continued in her old identity as the harlot from Canaan but I believed that with her adopting God as her own, she readily took on a new identity that later on lead her to be grafted into the lineage of Christ. Without a healthy identity based on the Word of God, we will not be successful in integrating into the Kingdom Culture. There is a new way of living, a new culture that we must embrace totally and not partially. So what is the Kingdom Culture? A Kingdom Culture is a culture where God’s people treat each other like scripture says and work together in a way that expresses who Christ is. 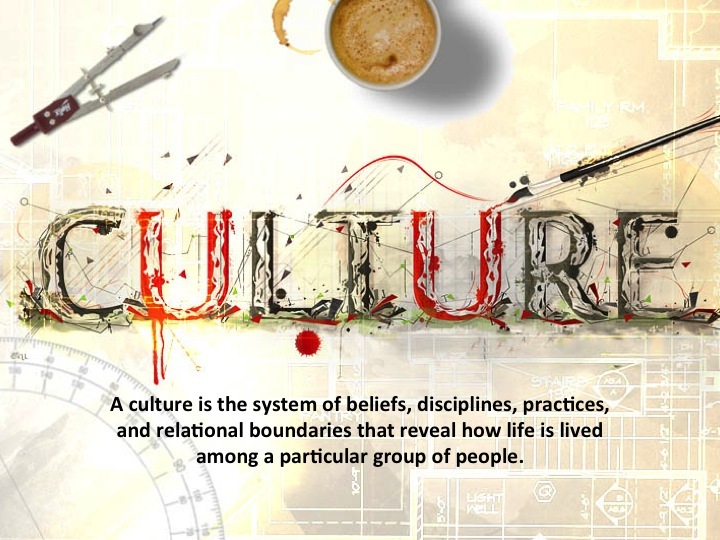 Our culture indicates to us what we value in life. A person lives based on what they value and what they consider as important. Jesus made this clear in Matthew 6:21, “Where your treasure is there your heart will be also.” What a person values or treasures sets the direction for his or her heart and life. Hence, when we adopt the Kingdom Culture, it entails us valuing the things highly important to the Lord, such as how we treat God, how we treat people and how we live life. When we fully embrace the Kingdom Culture, we can appropriately love our family in the Kingdom of God. We know that when God adopted us, He not only adopted us to Himself but also into His family. Ephesians 1:5 (NLT) – God decided in advance to adopt us into his own family by bringing us to himself through Jesus Christ. This is what he wanted to do, and it gave him great pleasure. We cannot adopt God without adopting His family because they are ONE. We cannot love God wholly without loving His family, His household, His Kingdom! The practice of godly love by the people of God is the most important evidence that we are the followers of Christ. It is in adopting God’s family and loving them as God loves them will we begin to understand our destiny. When you love God’s family, you will become God’s friend. When you love and care for God’s family, God will prosper you and make you great! Abraham laid down his son Isaac and entered into his destiny and became the father of all nations. Moses laid down his life to lead the children of Israel, God highly honored Him and called him world’s most humble man. Esther laid down her life to save the children of Israel and went down in history as the deliverer for her people. Solomon asked God for wisdom to lead His people and in return God not only made him the wisest man ever lived but also the richest King of His time. The 12 Disciples laid down their lives to disciple the people of God and found great power and purpose in their lifetime. Finally, JESUS laid down His life for us that we can be adopted into the family of God, for this He was given the Name above all Names. And In His name, all knees must bow and all tongues must confess that He is King and He is The Lord! 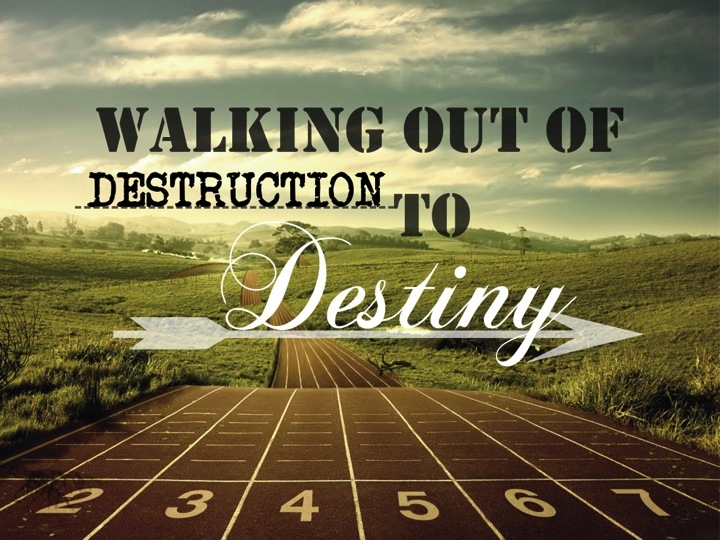 Let us make a decision to abandon all and embrace with open arms our God , our Kingdom identity, our Kingdom culture and our Kingdom family so that we can walk out of Destruction and into our Destiny!